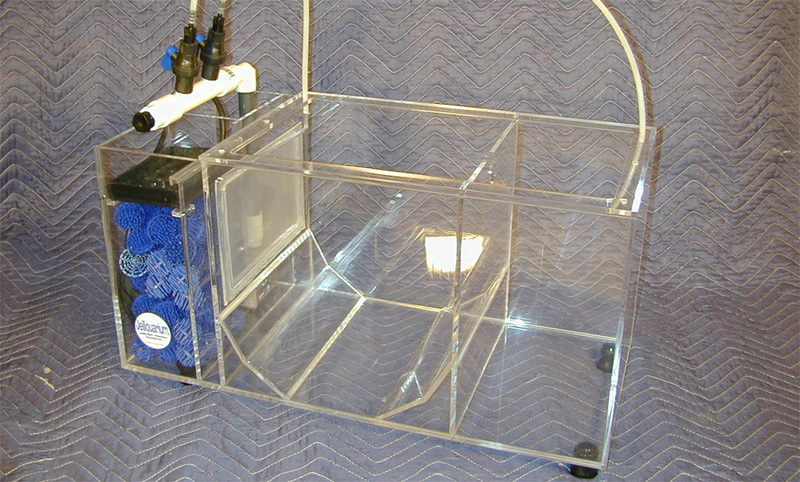 P&E Combo System, tank is divided into three sections; nursery, rotation and drain /bio chamber. Ephyra and Fry are flushed from nursery into rotation area where they are gently suspended. Two versions, Tank Only w/1" drain and System with bio-chamber, pump and 2-valve discharge manifold with semi-rigid return line tubing.